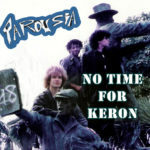 Parousia started the new-year performing at a club called The Sundown Saloon January 7, 1982 on Route 16, in Chaffee, NY,. The club was a 60-mile round-trip from the Music Mall in Cheektowaga, NY. where the band rehearsed. The club was celebrating its second year in business and its first year anniversary since becoming a ‘general’ rock club. Prior to that, the Sundown Saloon booked mostly country and southern rock bands like Quarterhorse, Backroads, Moonshine Express, 10-Gauge and Papa John Creech. Parousia, Actor, Cheater, Little Trolls, Tarkus, Fat Brat, Curtis Loew, Thief, Pearl, The Beez, The Vincent Michaels Band. 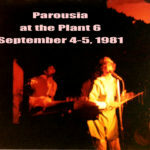 Parousia was no stranger to the layout of the Sundown Saloon, the band played on the same stage when the club was called “Brush Gardens” back in 1979, a time when a fledgling Parousia first ventured out of the nest of Buffalo to test their wings (the bands set of eclectic rock songs) on country hicks… some of it went over well, (i.e. : Free Bird, Can’t You See…) but others… eh, not so much (i.e. : School, the Portrait…). After Brush Gardens, the club was re-named ‘the Ranch House’ and then simply ‘Sundown’ where it is alleged to have been known for fist-fights and dilapidated conditions. Then Kevin Spague purchased the building in 1980, refinished the entire front, built a boardwalk, replaced the floors, rebuilt the walls and added a sound booth and re-named The Sundown Saloon. Compared to the 1979 audience, we found the1982 audience at the Sundown Saloon to be diverse and open to hearing new rock songs. This was much improved from our last go-around when the club was called Brush Gardens in 1979 and the only songs the audience liked was “Free-Bird” and “Can’t You See”. Tonight, the band played its heart out to entertain with songs by Jethro Tull, Yes, Genesis, Aerosmith, Alice Cooper, Focus, Bowie, The WHO, the Doors, the Cars, Argent and original songs like “Revelation” and “Myron”. The crowd liked it, the owner liked it and wanted us back for another show! Backstage Productions jumped in, made the arrangements and Parousia was re-booked at the Sundown Saloon in March. One of the best things about playing at The Sundown Saloon was the pay. The band was paid $325.00 to play a Thursday night in Chaffee, NY (better than the usual $250.00 for similar gigs). Gregg Filippone came-out to run the sound for $50.00; then there was that pesky $50.00 payment towards the band’s purchase of Mike Carroll’s lighting equipment (Keith Huels was now lighting tech for our shows). Plus a $100.00 payment towards the purchase of a follow-spot owned by Keith Gregor. Then $50.00 for the roadies, $62.00 for truck rental, $35.00 for van rental and Backstage took a little more than 10% ($35.00) a reduction from the usual 15%. Expenses totaled $280.00 but the cost of purchasing the follow-spot cranked up the total expense to $380.00, putting the expenditures $55.00 over what was paid.